Last week we unveiled an update for Commusoft's vehicle tracking feature - the ability to view engineers across more displays. This includes smartphone support, allowing you to track your vehicles no matter you are. You can even use Siri on your iPhone and iPad to open up the tracking page for you. 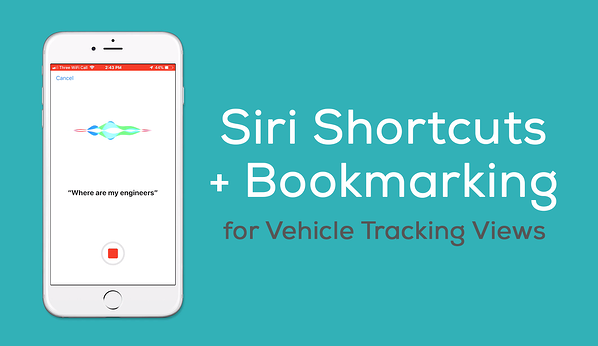 Check out the video below to learn how to set up vehicle tracking with Siri. 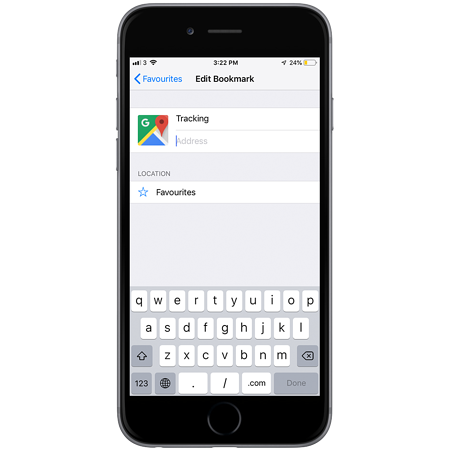 We've also put together a guide covering bookmarking the URL on different devices. Due to using bit.ly short URLs, there are few little tricks to adding a bookmark that you should be aware of. If you are currently using Real-Time Vehicle Tracking, you can already use this feature! If you don't yet use our van tracking feature, find out more here: Real-Time Vehicle Tracking. Please bear in mind that this feature is only available on the Paperless Office plan and higher. If you are not on this plan, have a chat with our sales team on 0203 0266 266 about upgrading today. As we covered in our blog post on extended displays for vehicle tracking, you can create your own custom vehicle tracking views from system settings. You'll need to set these up first - see the blog for full details. On iPhone and iPad, you can set up Siri to show you your vehicle locations. You can customise the trigger phrase, for example, when you say "Where are my engineers? ", Siri will automatically open your tracking view link. This is one of the fastest (and coolest) ways to access tracking views on the go. 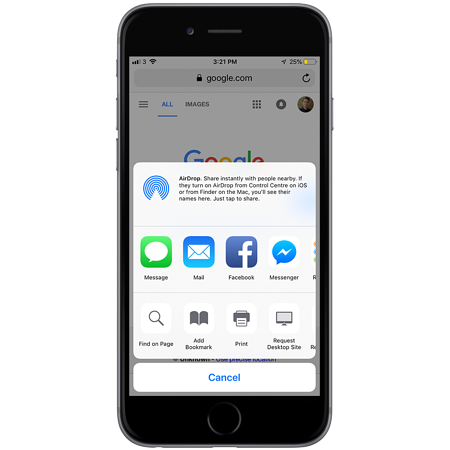 You can even set up multiple shortcuts for different views that you have created (learn more here). No love for Google Assistant? Unfortunately, we haven't had any success setting up a shortcut like this with the Android voice assistant. Hopefully they'll expand their functionality in the future, but until then, you can still utilise a standard bookmark. 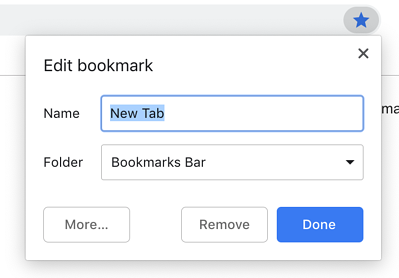 The following guide covers how to add bookmarks for tracking views across different devices. Please note, you cannot add a bookmark for 'https://tv.commusoft.co.uk/tv/map-board' - this is a generic link and won't work, instead you need to bookmark your unique bit.ly link. You can bookmark as many different tracking views as you have set up in system settings - for example, you may have a Liverpool team view and a Birmingham team view. Simply repeat the processes below, changing the details as appropriate. We recommend using Google Chrome on desktops and laptops. Whilst on any page in Google Chrome, tap the star icon on the right hand side of the address bar to add a bookmark. Next, click the 'More...' button. You can now edit the name and URL of the bookmark. Set the name as you wish and add your tracking view URL. Once saved, you can access tracking via this bookmark, without typing the URL out again. From Chrome on your Android device, add a bookmark of any page - it doesn't matter which! To do so, click the settings icon and then tap the star at the top. Once you do that you should see a message at the bottom of the screen, with the option to 'Edit' - tap that. You will see the screen below, with the name and link of whatever page you bookmarked. Change the name to something like 'Tracking' or 'Engineers' and replace the URL with your unique tracking view URL. 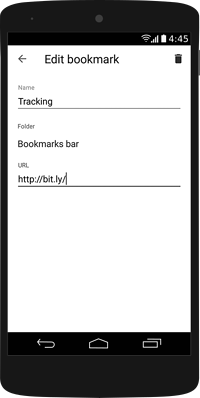 This bookmark will now work for whenever you want quick access to your tracking view. Open Safari and add a bookmark of any page - it doesn't matter what! In this case I've just bookmarked Google.com. 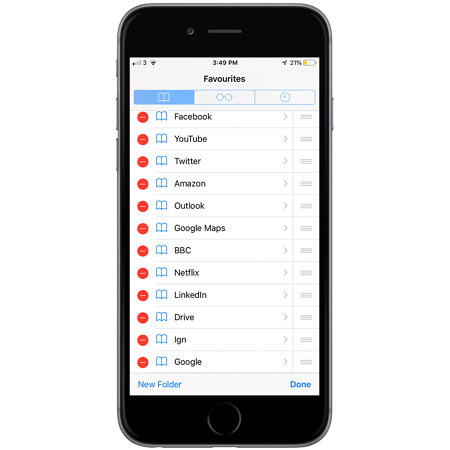 To do this click the share icon at the bottom of Safari and tap 'Add Bookmark'. You can't modify the URL at this stage, so you will next need to edit the bookmark. 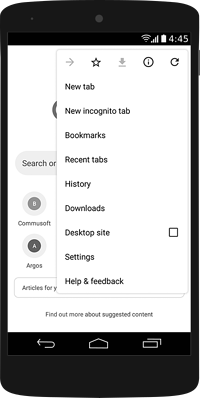 Open the bookmarks menu (book icon) and tap 'Edit'. You should see the bookmark you just added at the bottom of the list, tap on it to edit. 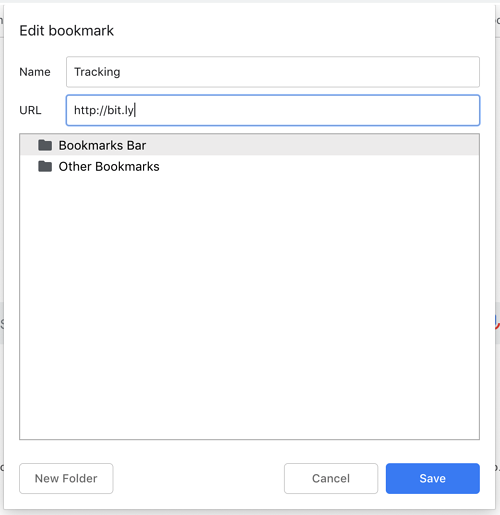 You can now change the name of the bookmark, to something like 'Tracking' or 'Engineers' and replace the URL with your own unique tracking view URL. Once you've done that, your bookmark is all set up and ready to go! Haven't started tracking your vans yet? Commusoft's Real-Time Vehicle Tracking allows field service businesses to see the live location of vans from within their job management software. We've put together a Real-Time Vehicle Tracking brochure with specific details on the different trackers and pricing. Check it out! If you're interested in implementing Real-Time Vehicle Tracking in your business and want to learn more about all the benefits - watch our webinar, which covers all the features. Fancy leaving us a review? We'd love to hear your thoughts. You can do so right here.